Last winter, Edouard Fu (MD/PhD student Dept. 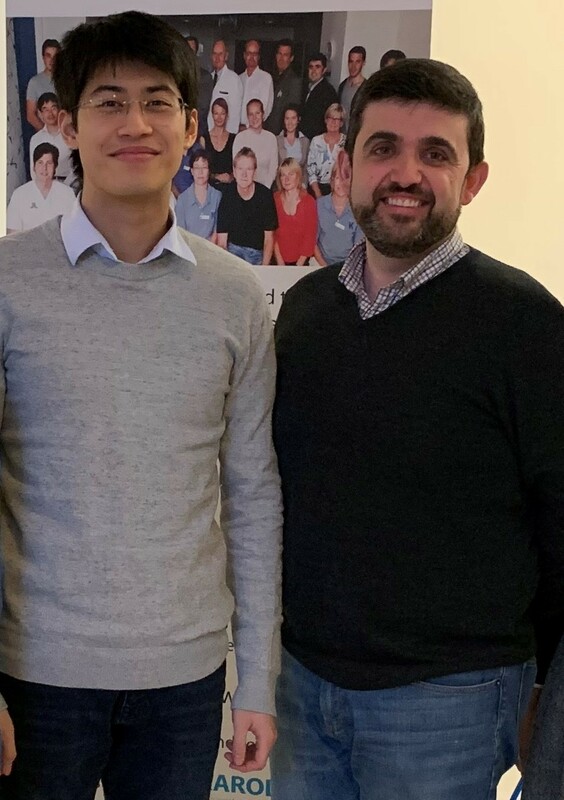 of Clinical Epidemiology, Leiden University Medical Center) visited the cardiorenal epidemiology group of Prof. Juan-Jesus Carrero, department of Medical Epidemiology and Biostatistics, Karolinska Institutet, Stockholm. The exchange was funded by the LUMC in the framework of the Eurolife Early Scholarship Program for Early Career Researchers. The main objective of this Eurolife initiative is to strengthen the contacts and cooperation in research between Eurolife universities. In addition to the Eurolife scholarship (3.500 EUR), Edouard’s research stay was further supported by the Dutch Kidney Foundation grant. The aim of Edouard’s project was to analyze Swedish registry data to answer clinical questions in the field of nephrology. Chronic kidney disease is a growing public health problem affecting around 10% of the general population, and is associated with high morbidity, mortality and reduced quality of life. Prevention of renal function decline by identification of risk factors and evaluation of treatments, is therefore of paramount importance to improve outcomes. For the past 5 months, Edouard worked at Karolinska Institutet on various projects on renin-angiotensin system (RAS) blockers and inflammation. His first project focused on the long-term clinical significance of acute renal function decline, which is frequently observed following initiation of these drugs. In a second project he studied the real-world efficacy of RAS blockers in patients with advanced chronic kidney disease. 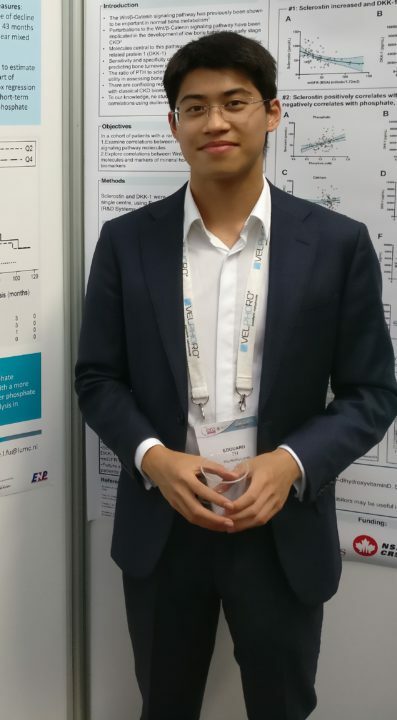 His third project investigated the role of inflammation on progression of kidney disease in myocardial infarction patients. Prof. Carrero’s research group has extensive experience in the analysis of large medical registries, and coordinates the unique Stockholm CREAtinine Measurements (SCREAM) project. For the second project, Edouard also worked on the Swedish Renal Registry in collaboration with nephrologist Dr. Marie Evans of Karolinska Institutet. In his post-exchange report, Edouard explains: “Spending part of my early research career at such a prestigious university was an incredibly valuable experience. The exchange with Karolinska Institute has been a great opportunity to become familiar with the analysis of large medical registry data. Registry-based research is playing an increasingly important role in epidemiologic research and comes with its own methodological challenges, which need to be taken into account to draw valid conclusions”. Edouard Fu has given two presentations about his work at both, Karolinska Institutet and LUMC. In addition, the work will be presented during the upcoming Dutch Nephrology Conference (26-27 March 2019). He is currently working on finishing and submitting the manuscripts. The research groups of Prof. Dekker (Leiden) and Prof. Carrero (Stockholm) will continue collaborating on numerous projects in the field of cardiorenal epidemiology, with exchange of knowledge, expertise and research ideas. With the goal to maintain their collaborative work, Edouard plans to go back to Karolinska Institutet in the near future.